When I look back on New Years Day one year ago, at the beginning of 2017, I would never have guessed all that’s happened in a year. That’s probably a good thing. Surprises can be fun. 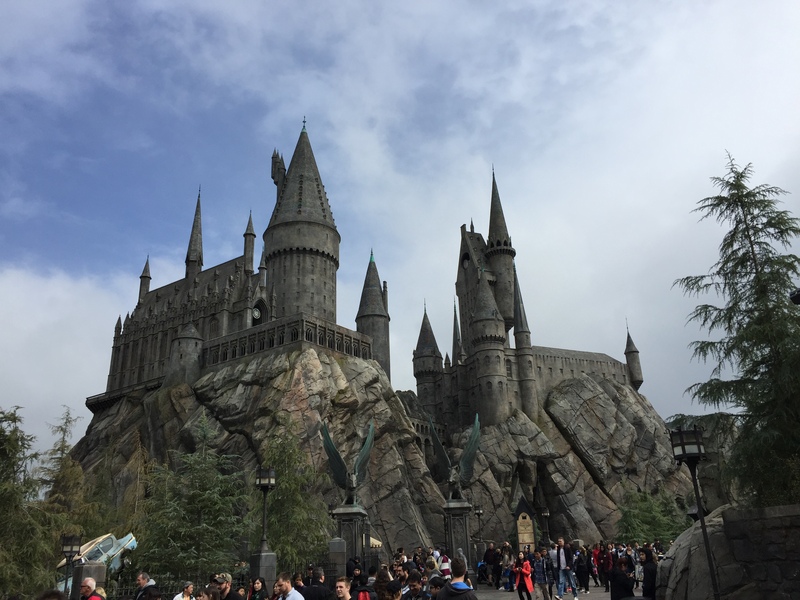 Earlier last year, we got to go to Universal Studios for the first time and visit Harry Potter world and try out the rides. It’s kind of weird to see a replica of Hogwarts and realize that it started out as just a piece of imagination in the mind of a woman named Joanne in Scotland. She had a vision of a boy with a scar while riding a train. Look what has come from that one vision! 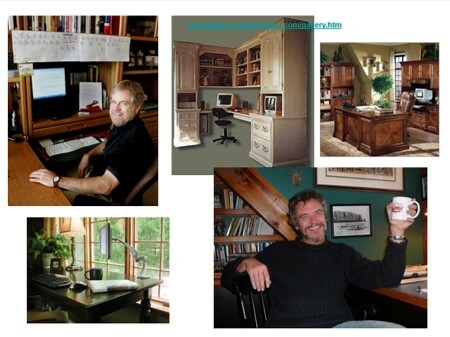 I also shared with them a vision board that I did back in 2008, ten years ago. The vision goal was becoming a full-time author (not growing a beard!). It didn’t happen when or how I thought it would. But there is something interesting that happens when you set goals and stop making excuses. We don’t control the timing of major events in our lives. I sure didn’t plan on moving to the Rocky Mountains last year. But we have a purpose in this world and when we try to live up to it, amazing things happen. And amazing things have happened to my family this year, and I’m grateful for them. I know people who have lost their homes, lost loved ones, and endured unspeakable heartache. I also know others who have grown and seen miracles happen. We’ve seen miracles in my own family. We’ve had major problems. We’ve been to shelters in Mexico and gotten hugs from little kids who have so little but smile so much. Even though some very difficult things have happened, I am optimistic about the future. So go ahead and think about your future. As Robert Schuller said: “What goals would you be setting for yourself if you knew you could *not* fail?” Sometimes all it takes is motivating the elephant. Sometimes it requires a clear unambiguous goal. Other times, obstacles need to be removed from the path. Figure out what you need and then go for it! Back when I was studying history at San Jose State, I had a professor who inspired and motivated me to dream big. She thought I’d be a great history professor someday. Well, that didn’t happen. I decided to dedicate the last Kingfountain book (The Poisoner’s Enemy) to her because of her support and encouragement. It was during that time that I was first inspired with the nuggets of Ankarette’s story. Last week I hunted her down and we re-connected via e-mail after more than 20 years. She’s no longer a history professor but is living another dream of hers. Life doesn’t always turn out the way we plan. In fact, it rarely does. But don’t let that stop you from dreaming. Make a vision poster for yourself. See what happens. Your post, “Visions of the Future” is really down to earth writing and maybe I will try your idea of finding pictures of what I want to accomplish in 2018. I am really looking forward to January 9th, not only because it is my Son’s 35th Birthday, but also so I can start reading, “Kingfountain book (The Poisoner’s Enemy). I have thoroughly enjoyed reading your series, “Muirwood” and “Kingfountain”. I am looking forward to seeing what comes next. I hope your vision board for 2018 is to take us to a new world. It’s going to be hard to beat Kingfountain , Muirwood, and Mirrowen. But we have faith you are up for the challenge. Thank you for making this past month a great one (the rest of my family does not thank you, I think they are tired of frozen pizza and Mac and cheese). You are the Stephen King of Fantasy, your world’s are newer ogres, elves, middle earth world’s have been played into boredom. Your fantasy world’s are imaginative, spiritual and evil, honorable and dishonorable. In different worlds that share the same magic just called by a different name and come to by different means. In a way it kind of reminds me of the force and the Kystrels are the siths. I am patiently waiting for the next books, and know I will be in for a treat when released.